Take a look at what has been happening in the automotive industry, and keep up to date with all the latest news and events. The MTA has been lobbying for a review into the smash repair industry and conduct of the insurance industry, and earlier this year the WA Parliament’s Economics and Industry Standing Committee commenced an inquiry with the final report tabled today. Luxury vehicles and hybrid technology were on show last Thursday at Lexus of Perth's demonstration event for the Small Charter Vehicle Industry. Bundaberg-based transport company has been fined $80,000 for underpaying an employee more than $11,000 over a nine month period. We all know someone who's put petrol into their diesel vehicle - MTA WA members Total 4x4 have a simple solution for you. See their new device saving drivers from this all too familiar issue. Paint & Panel recently conducted a survey of the industry, asking questions surrounding attitudes towards the industry, what it's like to work with certain insurers, profit margins and work volume to give a snapshot of the repair landscape. MTAA CEO Richard Dudley works with Prime Minister and key Ministers this week after a series of highly productive meetings regarding Australia's automotive future. 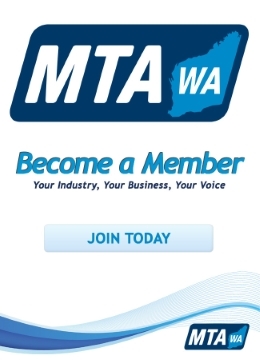 A number of Dealers have contacted the MTA WA in relation to the 24th December and what happens if they choose to not open for trade on that Monday. Celebration of the Motorcar is an event like no other in Australia, with an unequalled display of prestige, exotic and classic cars. Managers, HR and Payroll: Please be advised there have been variations made to the modern awards effective from 1st November 2018.